"Are you really a vicar?" is not a question I get asked a lot, I must confess, but it cropped up on more than one occasion over the last weekend. When I moved to Castle Donington last autumn, one of the things I was asked to do by the church was to explore the possibility of setting up some kind of chaplaincy presence at the Download Festival, the largest Heavy Metal gathering in the UK, which has made its home at Donington Park, and as a first step towards that I attended the festival for the first time last weekend. I'm not a complete stranger to festivals such as this: I attend Greenbelt regularly, but Download is something a little different to that. At its peak on the Saturday evening there were estimated to be abut 100,000 people on site, plus staff etc: this is a HUGE event. 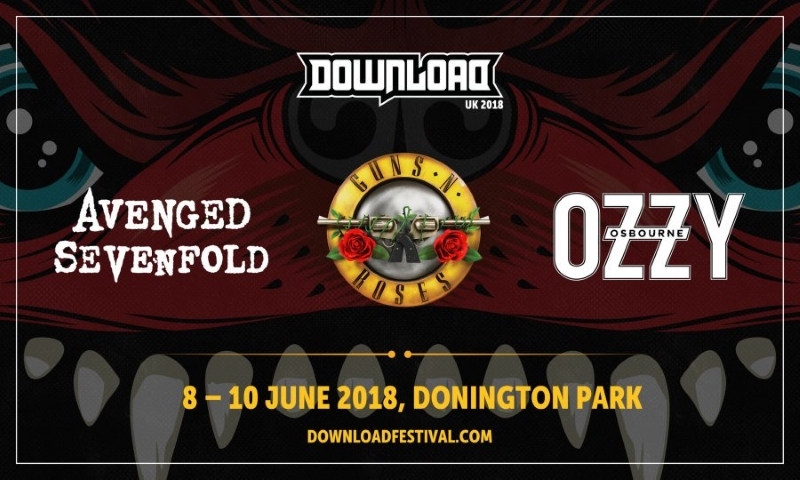 Even my last festival - Leeds in 2006 - was nothing compared to this, and my previous experiences in my youth - Glastonbury 1981, Reading 1980 & Knebworth 1979 - had not prepared me for the scale of Download. This field becomes a small town for the weekend, focussed on one thing: heavy metal music. Anyone who's read this blog will know that my particular preference is for more progressive sounds, and on the whole these were few and far between. I did manage to find some bands who were a little different from the bass heavy, loud, drum-laden, shouty (and usually sweary) fare that was generally offered - much to the average punter's delight it seemed. von Hertzen Brothers, Plini and Koyo were all a little more progressive, though the latter two were playing in a small tent and were a little too loud for me, though they left me wanting to check out their material at a later date and perhaps with a little more control of the volume. Of the main bands, Temperance Movement were as good as I remembered them from their appearance at Greenbelt a few years ago, and I was delighted to discover Greta Van Fleet, with roots in Led Zeppelin and the East Coast sound of the late 1960s. 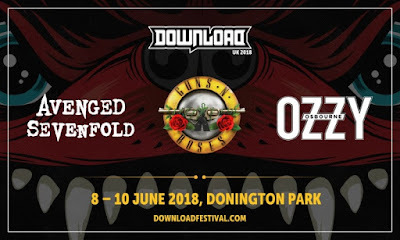 Of the headliners, Avenged Sevenfold were solid, and I recognised a few tracks from my wife playing their stuff in the car, though they did have a slight pyrotechnical problem during their set when the stage caught fire! Guns 'n' Roses pulled the biggest crowd on Saturday night, and gave a 3½ hour set of their own material and some covers, but I was left a little nonplussed and flat, and left after about 2 hours (as did a few others). The musicianship was fine, but it seemed to me to be more of a performance than a show. Ozzy Osbourne, Sunday's final act, on the other hand, had the crowd from the off and stormed through his solo material and classics from Black Sabbath's catalogue: for me the highlight of the weekend. Ozzy, of course, is hailed (marketed) as The Prince of Darkness: so should a Methodist Minister really be partaking in such matters? The festival was interesting in many respects, but one for me was the blatant at times use of pagan and satanic symbolism, and a downright antipathy, rather than the usual apathy, towards aspects of the Christian faith. At one point Marilyn Manson was advocating allegiance to Satan in one of his songs, and on more than one occasion I spotted a t-shirt with the legend "Jesus is a C***" on the back. That said, I came under no personal attack, and even had a number of interesting conversations with people in various stages of inebriation about why I was there, and what life and faith was all about, though I can't claim any miraculous conversions. Although I didn't get to meet everyone on site, I think I was the only one there in clerical garb - a decision I made consciously as I was there as a guest of the Festival on behalf of the church. But I'm sure I wasn't the only Christian there: part of the work of the Welfare team was being done by a group from an Anglican Fresh Expression in Chesterfield which goes by the name of "The Order of the Black Sheep", and it will be good to confer with them about any future work that the churches do on the site. Other believers off-site were no doubt praying for the work there, and some tried to get the message to festival goers by flying over the site with a banner pulled behind a small aircraft declaring 'Jesus loves every 1 of U' - which had scant if any response, other than someone asking me later whether I'd been flying the plane (well, I am the SkyPilot!). That kind of scatter-gun approach may make them feel better, but maybe it would be better to show the crowd just how much Jesus loves them by serving them rather than by bombing them?